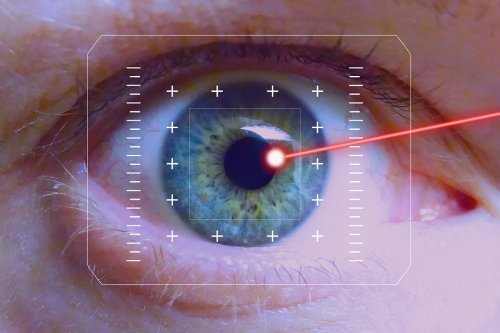 Your eyes begin recovery immediately after your LASIK surgery, and the initial healing usually occurs quickly. But it’s normal to experience some blurred vision and fluctuations in your vision for several weeks or perhaps months after LASIK. Your optometrist or LASIK surgeon generally will see you the day after your surgery to examine your visual skill and make sure your eyes are healthy and recovery properly. Many patients are legal for driving (without spectacles or contact lenses) and have the ability to go back to work the day after their LASIK procedure. Routine follow-up visits generally are scheduled for a duration of six months or longer to continue to monitor your vision and eye health. For the most parts, vision ought to be steady and clear at the six-month post-op check out. Likewise, if you experience dry eyes, halos, glare or other visual disruptions after LASIK, the majority of these symptoms ought to be either gone or significantly lowered at your six-month go to. If your vision is bothersome 6 months after LASIK, your surgeon may advise a LASIK improvement procedure to hone your vision. Generally, most surgeons wait a minimum of 6 months prior to carrying out an enhancement, to offer appropriate recovery time after the first surgery. After LASIK surgery, you need to take safety measures to protect your eyes from injuries. This is true after your cosmetic surgeon advises you that your eyes have actually fully recovered. Eyes that have gone through LASIK surgery are more susceptible to terrible injuries than eyes that have actually not undergone LASIK. For this reason, you ought to buy quality safety glasses and sports glasses with polycarbonate lenses to protect your eyes from harm when you are working with power tools, playing sports, or participated in any other activities that have the potential for increasing your risk of eye injuries. Is It Normal to Have Blurred Vision Right After the LASIK Surgery? It is normal to have some periodic blurriness for the first week or two after Laser Vision Correction. There can likewise be some variation in the vision, suggesting one eye can see much better than the other for a few days. Can Lasik Surgery Cause Vertigo? Q: Ever since I had laser eye surgery (which I found very nauseating and disturbing) I’ve been having moderate attacks of queasiness and vertigo. Could it be that the laser surgery procedure has now resulted in my having a vertigo issue, or is the timing just a coincidence? How should I treat this? A: Lasik surgery includes utilizing lasers to reshape the cornea (the clear part of the eye) in order to refocus beams and correct vision problems. Given that there is no cutting, it is really unlikely that any damage would result from the Lasik procedure that would result in vertigo and queasiness. Normally vertigo is caused by an inflammation of the inner ear, typically provoked by viruses, or by little stones that get lodged in the inner ear. Lasik surgery does not go anywhere near here, so ought to not have this result. Often, the vision correction after Lasik is not ideal, and if you are experience blurry vision or another visual disruption this might provoke a feeling of queasiness or a lack of depth perception and need to be checked out by your eye doctor. Another possibility is that a current medication change is accountable for the queasiness and vertigo. Sometimes, after surgery, medications are recommended for discomfort; a number of these can cause nausea or dizziness. Most likely, nevertheless, the nausea and vertigo is unrelated to the Lasik procedure. Your best choice would be to talk with your medical care doctor, who can perform an extensive physical exam and figure out if there is something going on that needs workup or treatment. I had Lasik in July 2013 and i STILL have dry eye syndrome and fuzzy vision. I am far from 20/20 and it will be 2 years this July. The optomistrist keeps sending me away stating keep taking the eye drops! I’m getting a bit fed up of blurred vision when I anticipated it to be 20/20 by now! I would never advise the procedure to buddies or foe!